Excuse the facial expression, these were taken in the middle of a snow storm. Let’s hope I won’t be seeing anymore snow for a while. No we haven’t had a sudden flurry of snow in March (although for a while it did feel like we would!). I took these photos back in January during my trip to Riga but just got round to posting them. Looking back on them makes me miss our weekend in Riga so much! It’s so nice experiencing snow and freezing cold temperatures knowing I can fly back to slightly warmer weather in London. As mentioned these were taken in the middle of a snow storm, hence the facial expression. I was trying to keep my eyes open as well as try to block out the confused looks from passers by on why I wasn’t wearing a coat. Blogger problems. I’ve been fortunate enough to experience snow twice this year in Riga and Oslo. I much prefer seeing it there rather than in London. It just seems a lot more magical there compared to brown sludge and train delays that we experience here. The snow also gave the perfect lighting for selfies and blog photos hahaha! 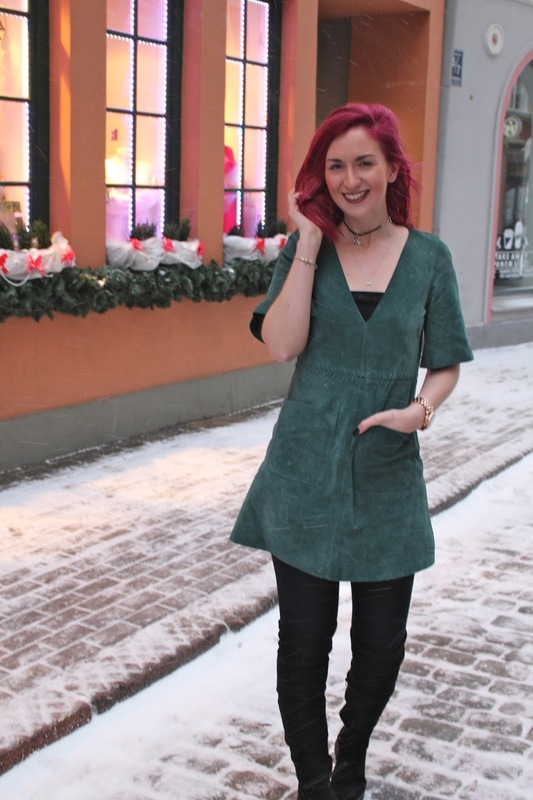 I braved the -18 degree cold to take a few photos of my this Zara dress. I’ve been after this dress for months but resisted and told myself that I didn’t need to spend £50 on it. Months later whilst browsing through the sale racks I managed to snap up the last one in my size for just £12.99 (!!!!!). This is the first lipstick I’ve tried from Bellapierre and I was very impressed. It’s so creamy and pigmented and although not my usual type (matte!) I really love the look and it stays on very well. You can see more lipstick photos on my Instagram here and here.